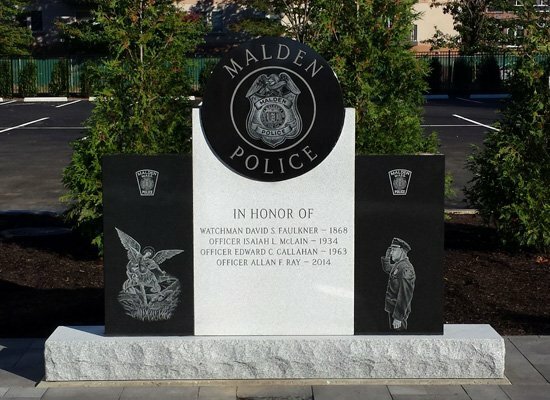 Woodlawn Memorials is proud to display a new monument we provided to the City of Malden Police Department. The monument was carved in Barre Vermont Granite. You can see the center and wings were carved in polished Jet Black granite featuring hand etchings of the badge, St. Michael and a saluting police officer. The Malden Police Memorial was dedicated on October 22, 2016 in Malden, MA.